In addition to offering a selection of used motorhomes, we also retail new motorhomes, campervans and caravans from the manufacturers below. The lead time for a new order can be from four months, unless we have pre-ordered a showroom vehicle. Digital brochures can be downloaded by clicking the images below. Converted exclusively in Germany a Globecar motorhome is the perfect choice for holidays, leisure time and day to day use. Attention to detail, only the best European-produced parts and practical layout – choose Globecar with intelligent solutions making every journey a special one. Experience the freedom a Globecar motorhome brings – choose from the largest selection of layouts from two exclusive model lines. Committed to providing exceptional value for money, Swift continue to make impressive increases in specification and user-friendly technologies, delivering even greater performance while ensuring prices remain competitive. Whichever Swift you buy, all models come with Swift’s innovative technologies: Swift Command; pre-installed Swift Command Tracker with option to subscribe and Connect Direct. Coachbuilt models have the added benefit of SMART construction and a 10 year manufacturer backed bodyshell warranty. Whether you’re seeking exhilarating adventure or peace and tranquillity, Swift's is to make your holiday as comfortable and enjoyable as possible. With boundless passion, Knaus have been creating unforgettable vacation moments since 1960. Backed by their experience and the courage to blaze new trails, they combine the familiar with the new. For our production, they rely on Lower Bavarian craftsmanship, and when developing new vehicles they employ cutting-edge design and production technologies. This combination of proven principles and innovative ideas makes Knaus one of the industry’s most successful brands. Wellhouse Leisure is the UK’s leading manufacturer of compact motorhomes and campervans, winning various different awards for their Hyundai i800 and Ford Terrier Custom conversions. Wellhouse Leisure conversions have become synonymous with modern design and outstanding build quality. Their philosophy is simple – to provide customers with a better standard of service and value for money than anyone else. They build campervans to the highest standard regardless of the type of conversion or price, and can offer many different conversion options to produce a totally unique vehicle. In addition to the Hyundai i800 and Ford Terrier Custom conversions Wellhouse Leisure also offer conversions based on vehicles such as the Ford Connect, Toyota Alphard, the new Mercedes Vito and most recently the Ssang Yong Turismo. 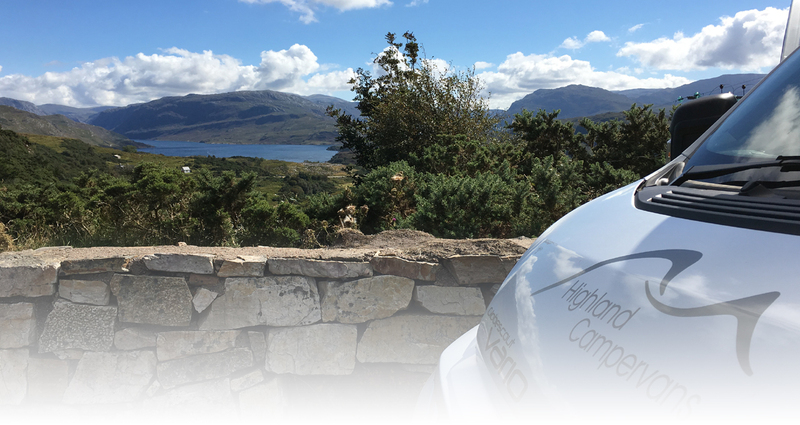 Highland Campervans are extremely proud to have been associated with Wellhouse Leisure since the start of our business in 2007. The Auto-Sleepers brand has a long established reputation for UK build quality and design. 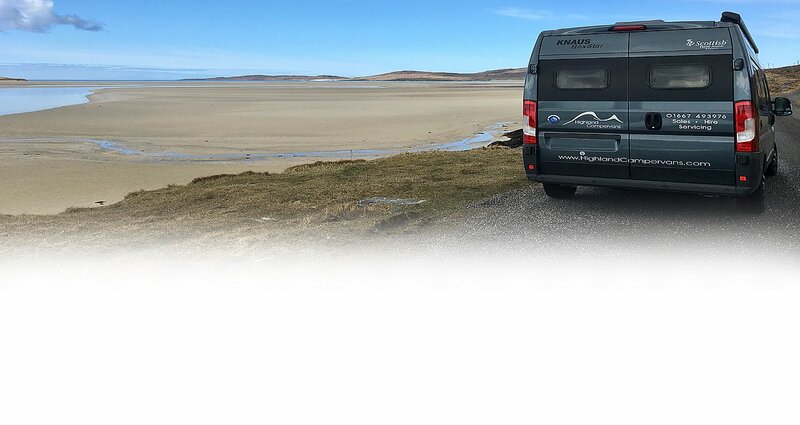 We are delighted to stock a range of the compact Auto-Sleepers panel vans and coachbuilt motorhomes at our base in Inverness, as their most northerly UK dealership. We also have a selection of Auto-Sleepers compact motorhomes on our hire fleet for those who wish to try before they buy. Brochures from most manufacturers listed above can be downloaded by clicking on the images above, collected in person from our Inverness showroom or phone/email and we can send printed brochures out in the post. 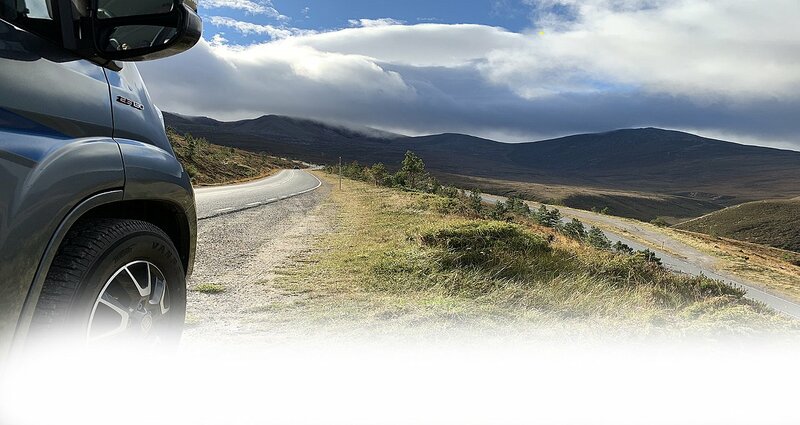 Please telephone 01667 493976 or email sales@highlandcampervans.com. Great doing business with you, we have no hesitation recommending you.